Anxiety disorders are way more common than most people seem to think. Just in the United States, over 40 million adults suffer from generalized anxiety disorder. With the stigma of discussing mental health in public spaces, it’s no wonder many choose to hide their condition from friends and coworkers. 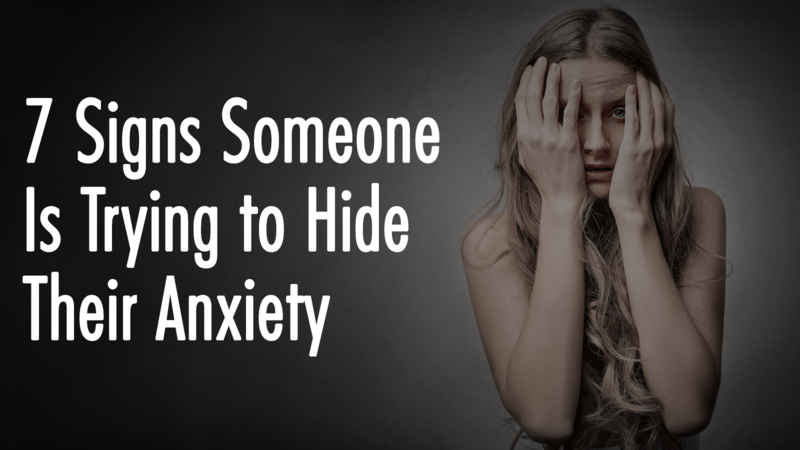 But why do people hide their anxiety? There are many reasons. The most common one is that anxiety is like an enemy that tries to convince you it doesn’t exist. Many people with generalized anxiety disorder feel like they’re just too sensitive or overreacting to everything – because that’s what they’ve been told all their life. They also don’t want to be looked down upon by their friends and superiors, so they try to cope with their anxiety the best they can. Usually, this means they cope on their own. It can be a very lonely experience – that’s why the rest of us should try our best to recognize the tell-tale symptoms of hidden anxiety in our friends, so we can offer them the help and support they need. Take a look at some things to watch out for that might indicate your friend is suffering from anxiety. Most commonly recognized as a difficulty focusing on different tasks. People with anxiety are often too distracted by the unpleasant thoughts fluttering through their head to be able to focus on anything else. They can easily zone out in the middle of a conversation or stop mid-way through doing household chores. This mental fog makes everything difficult and it only adds stress to their life because it means they’ll start underperforming at work or in their education. Anxiety is like a sneaky voice in your head, telling you that everyone secretly hates you. No matter how hard you try to think positively, you always hear that voice. You constantly need reassurance that whatever the voice is whispering, is not reality. Anxious people will often ask questions like, “Do you hate me now?” or, “Am I being annoying?” to try and disprove those thoughts. Furthermore, anxious people also have trouble making important decisions and try to offload them to someone else. 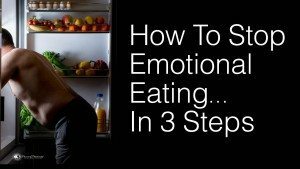 Binging on food is an underrated sign of depression and anxiety. The instinct to eat as much comfort food as possible – which often means unhealthy, greasy food – is triggered by the part of their brain that asks for extra fat to calm down anxious emotions. Often, this symptom can have serious results such as extreme weight gain and health conditions, such as diabetes and heart disease, related to weight gain and obesity. One of the physical effects of anxiety is that it significantly weakens a person’s immune system. Therefore, an anxious person can get sick very easily, especially during the prime time for illness – at the beginning of winter or spring. The effort they go through to hide their stressed emotions from everyone will lead to more stress and an even more strained immune system. Body language can speak volumes for someone who suffers from anxiety. A nervous tick or any type of fidgeting – like fiddly fingers or a bouncy leg – can betray the anxious thoughts in someone’s mind. That happens because they make every effort to stay calm and composed but the stress levels are so great that they need an outlet, which they find in the fidgeting limb. Additionally, anxious people will often sit and stand in a way that indicates they’re closed off to other people, out of a need to protect themselves. Many people might think that anxiety is a mental illness and doesn’t exhibit any physical symptoms. That’s not true. Scientists are positive about the fact that being constantly anxious adversely affects all parts of the body. Tension headaches and migraines are the most common symptom of anxiety, and they’re caused by the tension of muscles around the area of the head. An anxious person will often want to sleep the headaches away or try to get through them with painkillers – which can lead to dangerous dependencies. Once or twice isn’t a big deal, but if someone is consistently late to work or to meetings with their friends, that can be a symptom of depression or anxiety. Anxious people can panic just at the thought of leaving the comfort of their bed and facing the hallway. Much less the great outdoors. For them, their house or room is a safe haven; everything outside of it seems threatening and hostile. That’s why they’ll put it off as much as they can until they no longer can – but they’ll still be late and that will make them even more anxious. It’s a vicious, unforgiving cycle. “Just try some yoga, or some positive thinking!” is most people’s advice. Unfortunately, it’s not that easy. Anxiety changes the chemicals in your brain and it makes you believe things that aren’t true. It’s a debilitating condition to live with. If you think someone you know might be suffering from this, reach out to them. Maybe they need a friendly face when they go to their doctor to tell them what they’re feeling. Don’t ignore generalized anxiety disorder, as some cases can digress rapidly and unexpectedly into severe depression or other physical and mental conditions.